Previous Post:INTEGRAZIONE O.D.G. 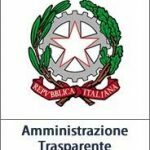 CONSIGLIO COMUNALE DEL 05.04.2019. Next Post:ELEZIONI DEL 26 MAGGIO 2019.